In honor of St. Patrick's Day this week, I've got a bit of a rainbow for you today! Sometimes I write posts just to serve as little reminders to myself. 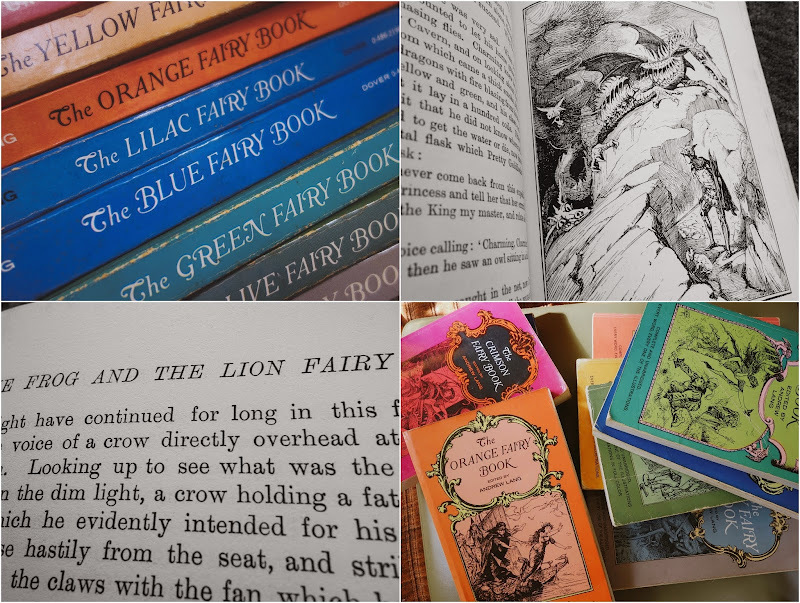 The most passionately worn in my entire fairy tale book collection are my Color Fairy books, edited by Andrew Lang. Do you know these? Did you read these? 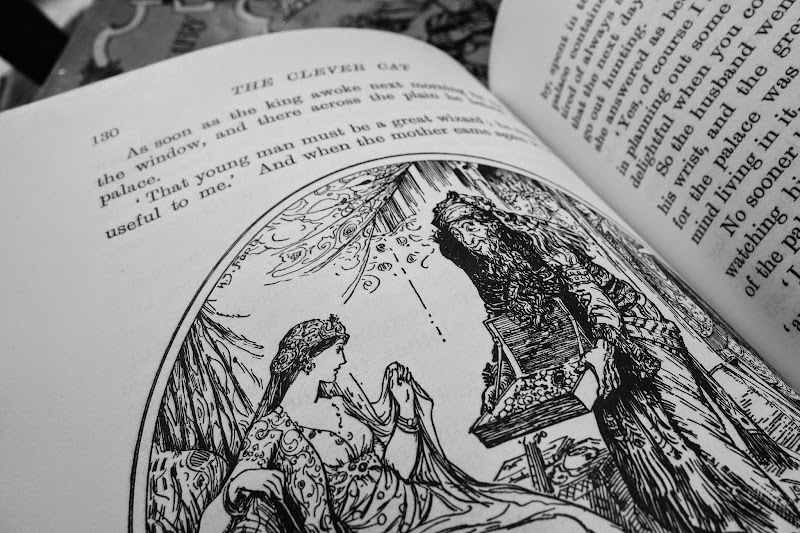 Andrew Lang is my personal hero, for his tireless work in collecting fairy tales from all over the world and putting them into these collections. His fairy tales include certain stories that exist as the first English translations. In the 4th and 5th grades, I read little else besides these books. These aren't baby fairy tales. They're dense, text heavy, interesting stories that are far off the beaten track of well known fairy tales. Have you heard of the 'The Frog and the Lion Fairy'? Or 'The Enchanted Wreath'? Or 'The White Slipper'? I spent hours of class time secretly drawing princesses and fairies at my desk, trying oh so hard to match the delicate and lovely art style. I failed miserably, but to me, the way the heroes and heroines were depicted in these books were the way people in fairy tales were supposed to look - romantic and old fashioned and otherworldly. My books are in TERRIBLE shape. One of my favs, 'The Violet Fairy Book' is just ripped to shreds. They all need replacing something fierce. And happily, they are still available and you can get them new! Red. Lilac. Green. Crimson. I'm not sure what happened to my PINK fairy tale book, but that one was a particular favorite. Certain books have a certain 'flavor' if you will - for instance, the Orange one has more Persian and Arabian tales in it than the others. I'm going to start getting new ones, and swapping them out, one by one. A book collection that spent a childhood in humid Hawaii does not not hold up well throughout the years, unfortunately. You know, I have never read these. I have seen them everywhere, but never brought them home. I think that should probably change. I absolutely love you for this post! I am so so so so getting this book serie! I know I'll always end up with some more books in my shopping cart after I read your blog! I love your rainbow of fairy books photo! I have one—blue—but would love to read them all. Someday, I want a beautiful set of these, then I shall finally read them. I've read certain versions of his tales online ("The Twelve Dancing Princesses" comes to mind), but never a whole volume. My seven-year-old son, a bit surprisingly, is very into fairies right now (I'm working actually working on a post about my favorite fairy book of all time, THE NIGHT FAIRY, by Laura Amy Schlitz). So your post is very timely! 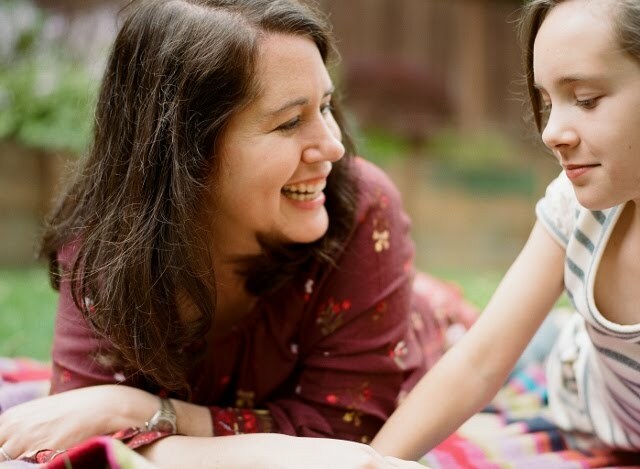 I'm asked by parents for fairy recommendations ALL THE TIME--perhaps more than any other subject--and there is so much BAD stuff out there (boring, generic, terribly written...right?!). 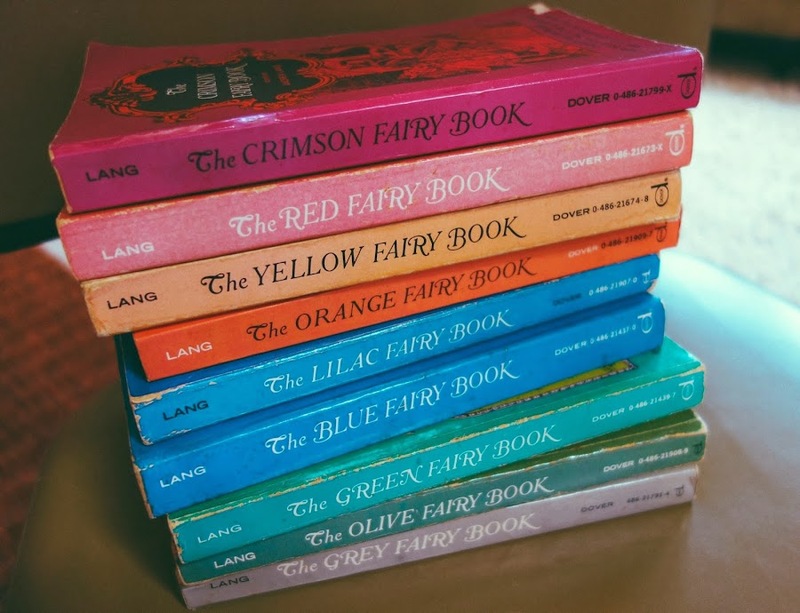 Can you believe I have never actually read any of the Color Fairy books? I've always wondered about them. Now I am putting them at the top of our list, thanks! We have The Night Fairy, wasn't that so charming?? I hope you check some of these out and love them! !